Ashley Webb Edwards, age 76, of Athens, GA died Tuesday, August 28, 2018 at his residence. Born in Atlanta, GA on January 16, 1942 he was the son of the late Robert Neil Edwards and Esther Lena Webb Edwards. He graduated from Chamblee High School and also attended Middle Georgia Southern Tech. During the sixties, he proudly served his country in the United States Air Force while stationed in Germany. On September 26, 1971 he married the former Linda Watson and they made their home in Atlanta, GA. While in Atlanta he worked for the Coca Cola Company. After the death of his father, his family moved to Greene County where he owned and operated Ace Hardware in Union Point for 35 years retiring in 2012. 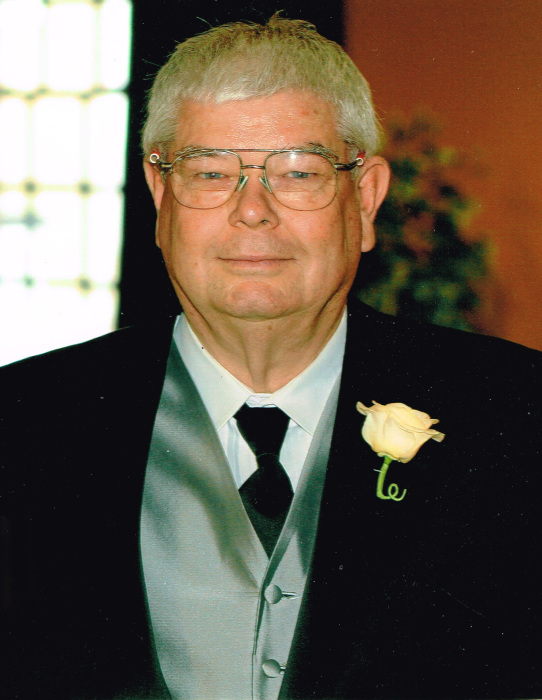 He served his community as a volunteer fireman and was the County Commissioner for District 3. They moved to Athens twelve years ago where they were living at the time of his death. He was a member of Hope Baptist Church in Winder, GA. He loved his grandchildren dearly and in his spare time enjoyed making models, working on puzzles, camping, boating and loved all water sports. A Graveside Service and Celebration of His Life with military honors will be held Friday, August 31, 2018 at 11:00 a.m. at Liberty United Methodist Church Cemetery, 3091 Liberty Church Road, White Plains, GA 30678 with Rev. Wesley Privett officiating. The family will receive friends from 10:00 a.m. until time for the service at Liberty United Methodist Church Fellowship Hall. The family requests memorials be made to Liberty United Methodist Church, c/o Dede Smith, 1691 Bramlett Road, Greensboro, GA 30642. McCommons Funeral Home, 109 W. Broad St., Greensboro, GA, (706) 453-2626, is in charge of arrangements. Visit us at www.mccommonsfuneralhome.com to sign the online guest register.